There’s a Chocobo Forest southwest of Narshe and Figaro Desert. This is the first time (I think?) 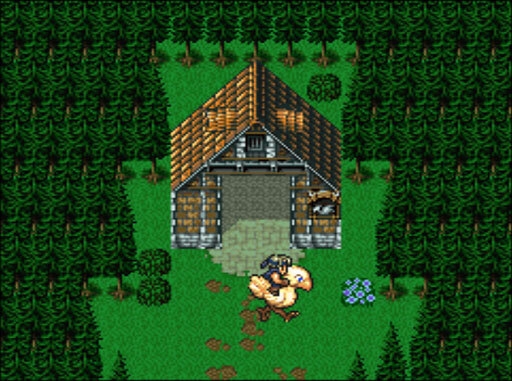 that we’ve run into Chocobo Stables where you can rent a ride; before this it usually required gysahl greens or just bumping into one in the forest. I’m so picky about my chocobos — this one is a little too bleached for my taste.